ShelterBox is responding to support families forced from their homes after Cyclone Idai caused widespread flooding across Southern African countries of Mozambique, Malawi and Zimbabwe. We are sending a team to Malawi, to assess damage to homes and understand what support families will need for recovery as the floodwaters recede. 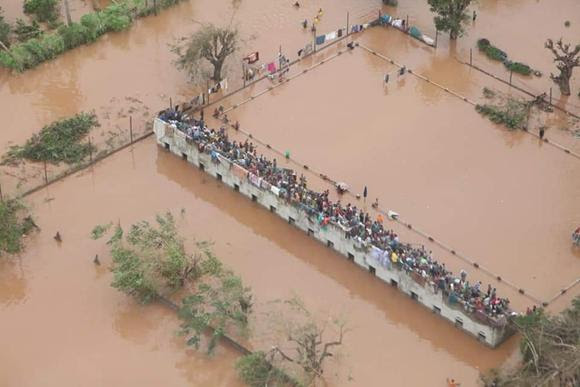 Floods have affected almost 1 million Malawians and forced at least 125,000 from their homes. We will know more once the team has arrived – we expect that support may include emergency shelter kits for families who have lost their homes, water filters to help protect them from increased risk of water-borne diseases, and mosquito nets. Right now, we are talking to local partners in all the countries affected by tropical cyclone Idai to understand how we might be able to help. As Rotary International’s project partner for disaster relief, we’re in close contact with the District Governor for Malawi, Mozambique and Zimbabwe. We're also working with Habitat for Humanity, who are talking to affected families in Malawi. Rotary District 9210 is the most affected district, covering Malawi, Mozambique and Zimbabwe. DG Hutchson Mthinda is in close contact with ShelterBox and has been providing local updates. We have been closely monitoring the impact of the flooding and cyclone across the whole region, which has also affected Rotary District 9400 (covering South Africa, Botswana and, crucially, Maputo in southern Mozambique). We are in regular contact with Past President Bruno Maximiano do Amaral of the Rotary club of Polana in Maputo, who has worked with our teams previously and is ready to offer assistance if required.